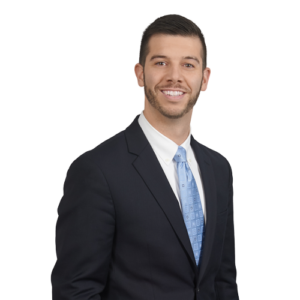 Eckert Seamans is pleased to welcome Trevin C. Schmidt as an associate in the firm’s Boston office and Litigation Division. Schmidt focuses his practice on complex civil ligation matters, including commercial disputes, employment law, product liability, and mass tort litigation. He attended law school while working fulltime as a paralegal at Eckert Seamans, working primarily on commercial and toxic tort litigation matters. Prior to joining the firm, Schmidt gained valuable experience as a paralegal at a Boston firm specializing in product liability and catastrophic injury matters, preparing for and attending trials in state and federal courts throughout New England. Schmidt earned his J.D. from New England Law in 2018 and his B.A. from Saint Michael’s College in 2011. He is a member of the Massachusetts Bar Association, Massachusetts Defense Lawyers Association, and Boston Bar Association.